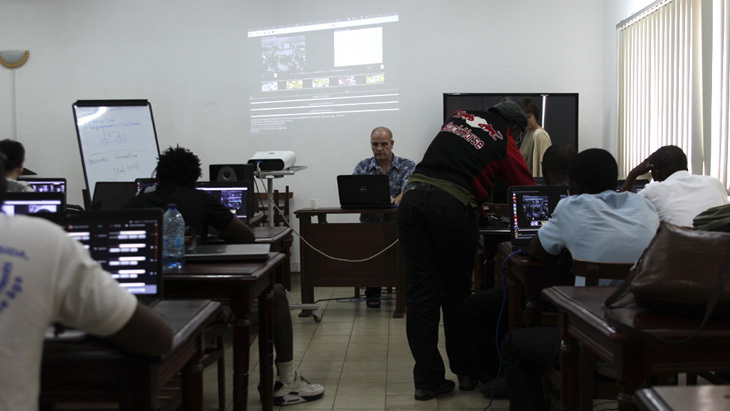 Between 2013 and 2014 the Press Photo Archives Buea, Cameroon have been digitized. The international conference Validating Visual Heritage in Africa: Historical Photographs and the Role of the “Archive” taking place in Buea (Cameroon) in January 2015 will mark the completion of the two-year project, EAP542, carried out by African Photography Initiatives. NSA meets CPPA Cameroon Press Photo Archives. from Maite Cajaraville on Vimeo. 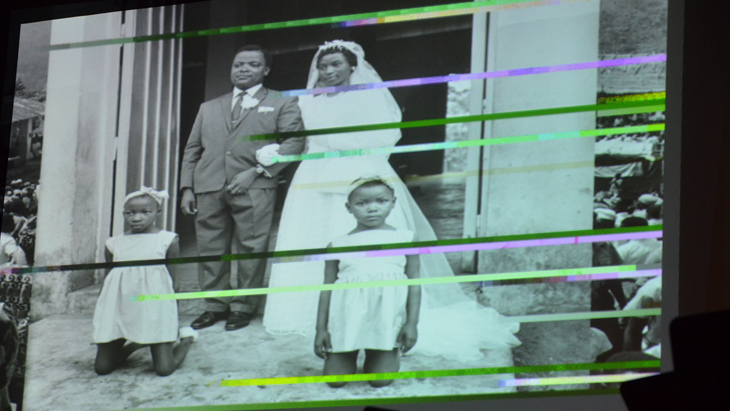 Assuming that this archive is pretty new for the general public, we think it is necessary for the Cameroon people, once upon a time the main subject of those pictures, to re-appropriate and re-locate the digital material into their hearts and minds. They must integrate it in their own imagery, so our work should imply an audience. Doing research about Cameroon dance culture we realize the real contrast between historical representation and contemporary culture. Confronting the very official and styled representation at the great events with the street culture, full of dance and joy, gave us another track: we need to bring in everyday life. 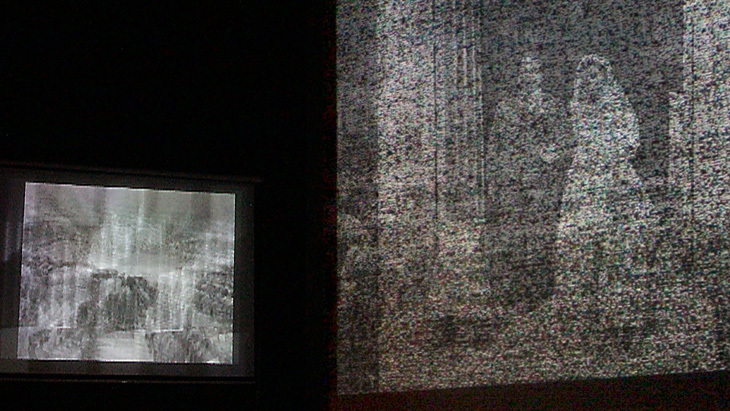 The images from the archive will be digitally sonified and transformed using various visualization techniques based on the raw digital information contained in the files. This will be overlayed by the original images remixed and recombined to alter the experience of time and space within the collection. Another layer will stream info text and metadata from the images. 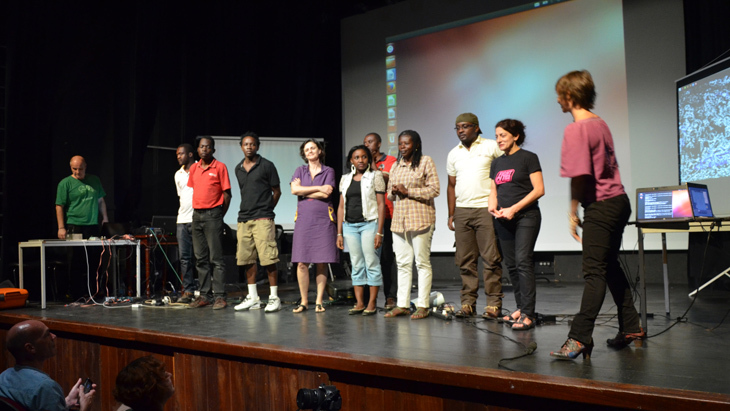 Sound recordings from contemporary Cameroon streetlife will be mixed with the sonified audio generated from the photos. The performance will be improvised live using 2 large screens and a sound system.